'We need to put aside our anxieties about the Budget for now and possibly for long, and carry on as best as we can,' advises Shreekant Sambrani. 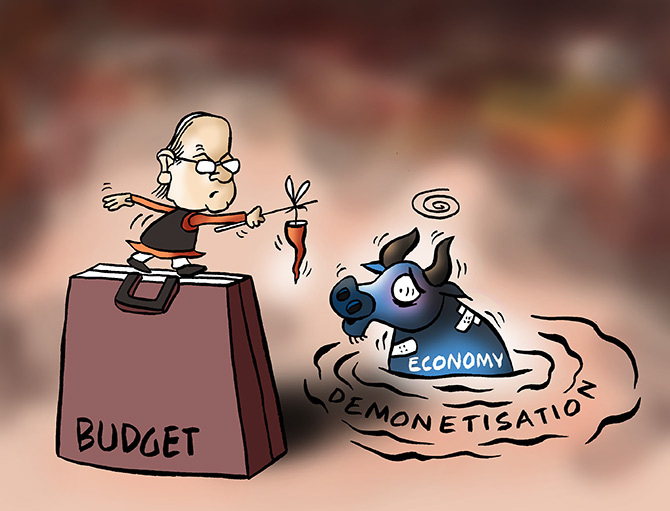 The Big News about the Budget for 2017-18 that Mr Arun Jaitley presented in Parliament on February 1 is that there is no Big News. Sure, it broke some new ground, such as advancing the date of presentation to the start of February from the end of the month, took into its fold the hitherto separate Railway Budget and did away with the somewhat esoteric distinction between Plan and non-Plan expenditure (of interest solely to card-carrying economists). But that really did not amount to Big News. That is the most welcome feature of this Budget, at least to this writer, who now need no longer brace himself to commenting on this annual Rite of Spring. We have grown accustomed to calling the said annual financial statement the Union Budget. The Constitutional requirement is for a plain vanilla accounting statement, which should arouse not much interest, leave alone cause excitement, among even people cognisant of such matters. Such, however, is not the case and has not been for a long time. 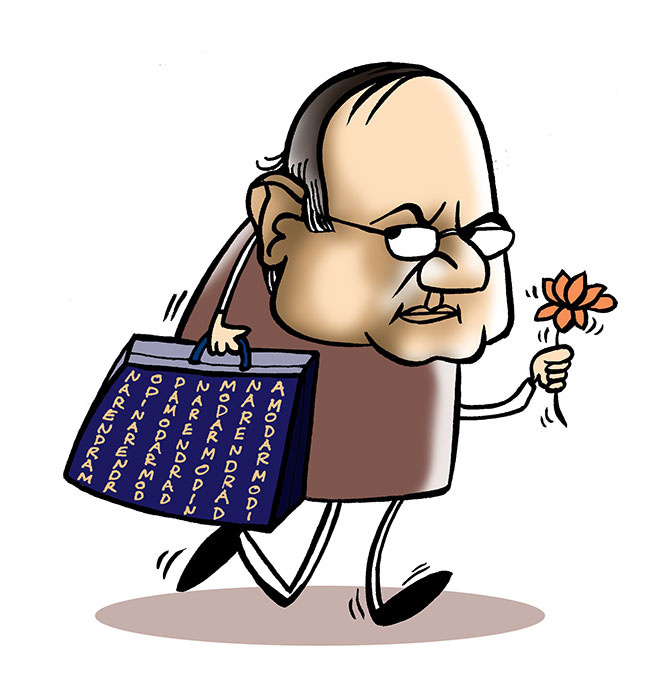 In the good old pre-liberalisation days, the annual Budget was much feared by the hoi polloi as well as the elite. Governments perpetually strapped for funds used the occasion to raise taxes on all matters of goods, including daily necessities. They disappeared from shop shelves some days in advance of the customary February 28 Budget day (February 29 in leap years), only to miraculously reappear immediately after the Budget was presented at 5 pm (as the custom was then), albeit with post-Budget price tags. Households savvy to this sharpness turned hoarders themselves even earlier. Toiletries, cigarettes, and even the lowly safety matches were among such goods. Post-1991, major changes in government policies including tax regimes were announced in Budgets. 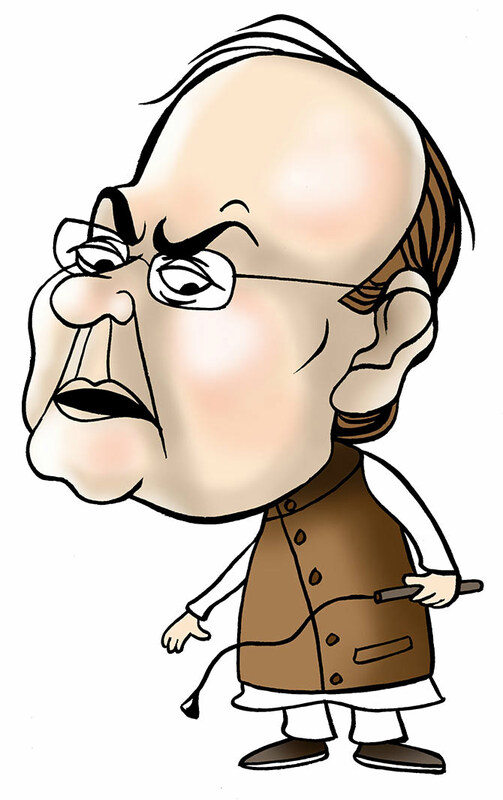 The 1993 Manmohan Singh Budget was a landmark in this regard, as was the 1997 P Chidambaram Budget. Every man and woman in the street was interested in what the finance minister had to say, or so it seemed. The growth of cable television made Budgets into spectator sports, with a whole slew of 'experts' pontificating and scoring the Budget (usually at least 7 on a scale of 10). Politicians either condemned it or cheered it, depending on which side of the aisle they occupied in Parliament. All that happened this year, too, as was to be expected, but it was easy to discern a palpable lack of interest among the usual suspects on the tube. Halfway through the nearly two-hour long Budget speech, the longest in this writer's memory, it was evident that not much had changed since the last annual exercise, except the numbers. 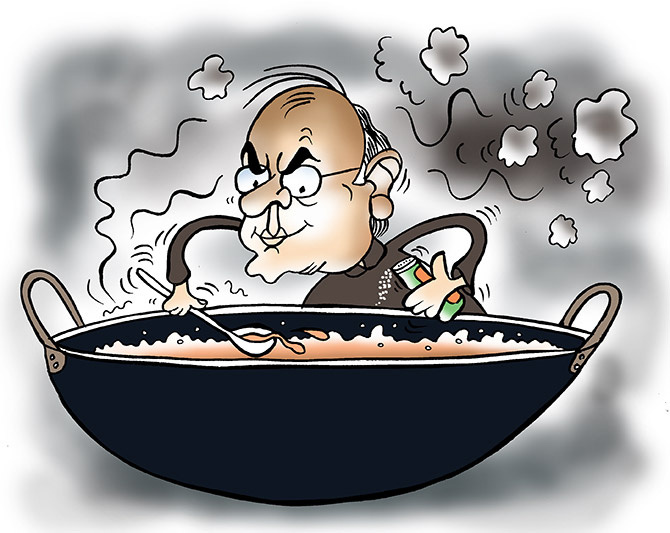 Mr Jaitley mercifully did not reel out a whole mess of them (unfortunately, he frequently stumbled on those that he did). Some 'new' developments -- actually, mostly expected ones -- did find a place in the second half of the speech, though. These included a boost in infrastructure spending (now up to nearly Rs 4 trillion, or just under a fifth of the Budget expenditure), a reduction in income tax rates from 30 per cent to 25 per cent for companies with an annual turnover of less than Rs 50 crore, a lower personal income tax rate of 5 per cent for taxable incomes between Rs 2.5 lakh and Rs 5 lakh, and a surcharge of 10 per cent on income tax for taxable incomes between Rs 50 lakh and Rs 1 crore. Otherwise, it was a straightforward business-as-usual Budget, with some occasional encouraging words and some, even fewer, admonitions. In an increasingly market-oriented economy, the role of the government and its policy interventions must be at the periphery and not the centre. The Budget is one instrument among the many that a government must use in fulfilling its appointed tasks of providing transparent, equitable, fair and accountable governance. Its carrots and sticks must be of small proportions to remove such imbalances as may have occurred in the normal course of events. Any major policy interventions, if at all needed, must be separately conducted. The government was most likely not motivated by such logic in presenting this workman-like Budget. Its interventionist bent is still very much in evidence, as will be discussed below, but it was held in check by the two 'tectonic' events as Mr Jaitley called them. The first is the new Goods and Services Tax regime that will come into effect later this year, the results of which, though most likely positive, may yet have a hidden danger lurking. The second, the elephant in the room, is the demonetisation of high currency notes. 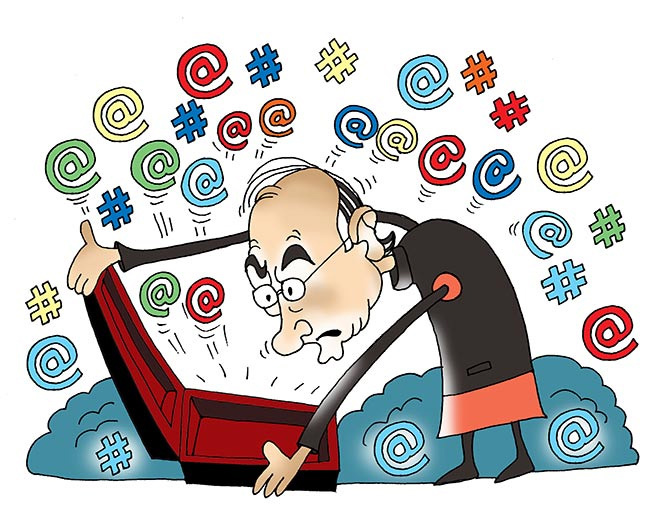 Mr Jaitley himself called it a disruption, and the country is still recovering from it. Any further shocks could have been unbearable. 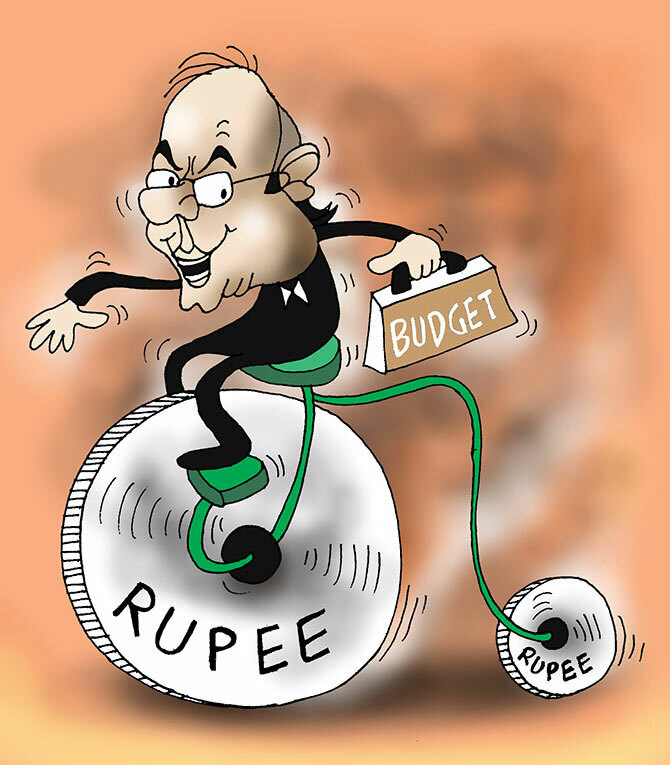 The government had not much room to sugar coat the pill when its own Economic Survey had estimated a day earlier a setback to the GDP of between 0.25 and 0.50 per cent as a result of the notebandi. So there was no cash bonanza in the Jan Dhan accounts, no great tax reductions, or any other populist measures for that matter. There were no killing modifications to the capital gains taxes either, as was feared. The government has been held to the straight and narrow path of fiscal prudence and its own earlier commitments to clean up the economy. The government did reveal its colours, though, in the narrative that accompanied the otherwise not-so major increases and changes. For example, Mr Jaitley expended considerable energy in explaining the higher allocations for irrigation, crop insurance and agriculture marketing as the required stimulus for the sector. His colleague, Mr Nitin Gadkari, who had earlier headed the rural development ministry, went so far as to say that these measures would lead to annual agricultural growth of 6-plus per cent from the next year onwards. Of course, policy-makers would be loath to admit that the expected 4.1 per cent growth of agriculture this year comes on the basis of last year's near stagnation and the good monsoon this year. That makes it an occurrence not attributable to such government interventions as may have happened. In fact, one is tempted to say that farm sector growth takes place despite policy interventions (except one), rather than because of them. If we examine the record of the last 50 years, three factors have made agriculture grow mainly. The first is better varieties and their planting material, the one intervention that works invariably, good monsoons which are as yet not even predictable, and markets for the produce determined by consumer incomes and preferences. High-yielding varieties of staples led to nearly trebling India's foodgrain production since 1965. Bt seeds similarly doubled the cotton crop in the last decade or so. Hybrid vegetable and fruit varieties enhanced their production three-fold in the last 35 years, and increasing consumer incomes provided matching demand support. The same is true of dairying as well. The short point of this is that the government is doing all other things in agriculture that count for little. There was no mention of research support and the word hybrid appeared nowhere in the Budget speech. This most potent engine of agricultural growth is anathema to a section of the Sangh Parivar and it seems the government has now retreated to denial. One of the ten thrust areas of the Budget was youth. We heard the same litany of allocations to programmes and schemes that have not worked. This writer has been reading papers from a recent seminar on the subject. Paper after paper from grass-roots levels highlighted the increasing distance between education and skill enhancement programmes on the one hand and employment opportunities of the kind the youth aspire to. The dire warning was the demographic dividend could turn into a population bomb. The Economic Survey, too, pointed to this. Yet the Budget and the prime minister's comments on it would make us believe that growth through youth is a low-hanging fruit ready for easy picking. It is also somewhat unrealistic to expect that growth and employment will soar simply because of increased allocation to infrastructure. The many large multiplier effects of the Golden Quadrilateral highway programme of the first NDA government will not readily repeat themselves in the changed conditions. There must be a more nuanced understanding of why the programme is not firing on all fours despite the strenuous efforts of the last three years. The same approach needs to be used for analysing the stubborn refusal of private investment to stir. In their absence, the routine rhetoric of the Budget sounds a mere incantation of a mantra, not a sound strategy. In the final analysis, policy-makers have to come to grips with the many contradictions that co-exist in the enigma called India. As the eminent economic writer T N Ninan mentions in his The Turn of the Tortoise (2015), a major reason, if not the major one, for the Indian impressive economic numbers in the aggregate is its sheer size, which cuts both ways. If India today is the third largest economy in purchasing parity prices (seventh in current nominal dollars), it is also home to the world's largest numbers of poor, illiterate, sick and hungry people, malnourished and underweight children and pregnant and lactating women. This has been the case always, and was so with China as well, but it managed to break the shackles a generation ago while India is still struggling. Yet another dilemma that dogs India is that while even its so-called middle class has at best very poor purchasing power even in purchasing parity prices, placing it firmly in the Third World, the aspirations of even its neo-middle class (as the prime minister calls the entrants to the lower rungs of income) seem to match those of the First World. One significant way out of these, it appears, is poor tax compliance. Mr Jaitley contrasted India's low base of tax payers with its soaring purchases of automobiles and foreign travel (the Budget offered no suggestion about reconciling this leading to higher compliance). One must return to Mr Ninan for what the future holds. He believes that much the same that has been happening so far will continue, since there is still reluctance 'to break the egg,' which manifests itself as partial reform, 'by stealth,' as he describes it. The impressive growth is largely because of relatively high savings/investment rates, which will propel more people into the middle class, even when defined in the global framework. The role of the government is likely to diminish even in areas such as banking and defence production. The power balance will increasingly favour states in the spirit of true federalism. And finally, the garrulous, often dysfunctional, liberal democracy is here to stay. That scenario may not light up high-wattage bulbs of hope and aspiration, but is a comforting safety blanket. So we need to put aside our anxieties about the Budget for now and possibly for long, and carry on as best as we can.